Well the time has finally come, after months of hearing about AMD's pending quad-core CPU's, they've finally arrived. Intel's quad-core CPU's have been on the market for a while now, but now they have some direct competition. We have both the 9500 and the 9600 quad-core Phenoms on the bench today, and will put them up against each other and see what they are capable of. We will be using a full AMD Spider platform, with the Gigabyte GA-MA790FX-DQ6 using the new AMD 790FX chipset, and an ATI HD 3850 video card. Throughout the review I will be referring back to our previous review of the Intel QX6700 that we did a while back for a rough comparison. 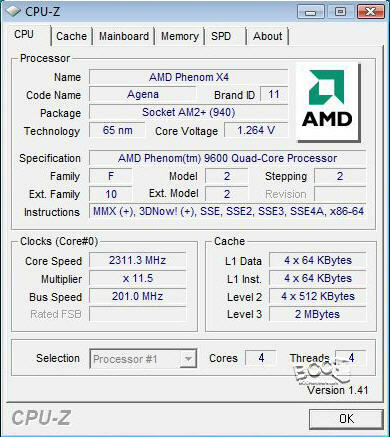 The Phenom X4 9500 has an estimated MSRP of $247 USD, and the Phenom X4 9600 has an estimated MSRP of $278 USD, if these prices prove to be true the Phenom X4 line for processors could be a very affordable Quad-Core solution for most users. 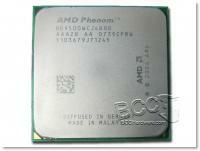 AMD has also announced a line of Triple-Core Phenom X3 processors, and the estimated launch date will be March, 2008. 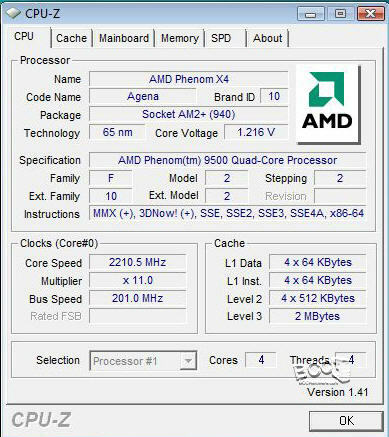 For our test system we are using a full AMD Spider system, we've got the full Phenom/Radeon/790FX combo for our review.